We love it, it’s delicious. We are hardwired to crave it because it’s easily used as fuel. However, we were never meant to be exposed to it in this quantity. 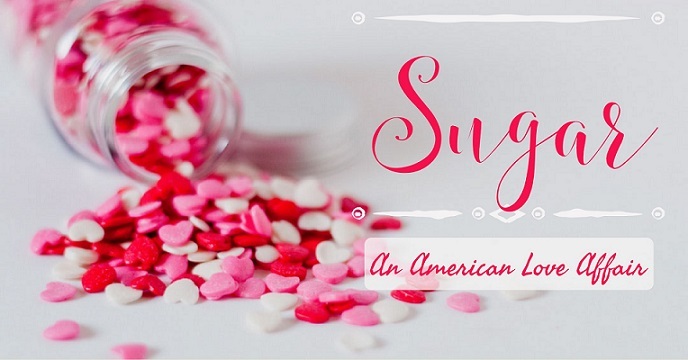 Grocery stores, convenience markets, and restaurants make sugar accessibility all too easy. In 2015 the World Health Organization lowered the recommended daily allowance for sugar consumption. Can you guess how much they suggest as the limit? Sugar is added to many foods which come from stores and restaurants and is particularly abundant in beverages and snack foods. One 12oz. can of Coca-Colacontains 39 grams of sugar supplied by high fructose corn syrup. An equivalent serving of Simply Orange High Pulp juice contains almost 35 grams, although this at least is (supposedly) from 100% orange juice with no additives, is non-GMO, and contains some dietary fiber (although not enough to make it onto the label, and that’s only IF you get the high pulp variety). The fact remains that both commercial juice and soda still contain significantly more sugar than you should be consuming in a single day, and have minimal nutritional value. Be honest, how long does a can of Coke keep you full? It certainly doesn’t contribute anything to your cells’ required functions. A 12oz. serving of Simply Orange has almost as much sugar as a can of coke. You may think, “Sure, but does it actually matter if I get diabetes? It is so common now, they must be good at treating it, right?”. Diabetes treatment is excellent, but having diabetes does increase the risk of a number of other health concerns. Still not impressed? In 2013, the CDC estimated that the total cost of diabetes per person was over $20,000 per year for adults 19-64. Sure, you have health insurance, but it certainly doesn’t cover everything. Think about the areas in your budget that could use a little boost. Diabetes is estimated to cost over $20k per person every year. “But I don’t have diabetes”. Okay, would you like to feel, think, and live better? High levels of sugar in the bloodstream have been linked to decreased brain activity, decreased memory and learning, and may even cause a decrease in brain volume. It has also been proposed that cancer treatment may be more effective if sugar intake is limited, as cancer cells feed on high levels of glucose. Have brain fog and memory issues? Cutting back on sugar may help these improve. Hopefully by now you are at least a little bit interested in cutting down your sugar intake, even if you make small alterations to your lifestyle. Apps such as MyFitnessPal and others provide free platforms that allow you to see what you’re eating and the breakdown of nutrients. Need a low tech option? Grab a journal and start reading food labels. No, not sweet tea, a conventional mug of hot water and a tea bag. Every beverage you switch will decrease your daily sugar intake significantly. Still need some bubbly? Try sparkling water. If you don’t have to get up to refill it, you will end up drinking more throughout the day. Find them boring? Search “fruit and vegetable snacks for kids” and channel your inner child. If you are buying processed foods, make sure to read the label and choose those with less sugar (preferably natural vs. added) from natural sources (raw sugar, coconut palm sugar, maple syrup, and honey). Making small changes every day can add up to a significant improvement in your health! Dr. Chelsea Drda joined our team at Atlanta Natural Health Clinic in September 2017. Although this is only a selection of the peer-reviewed literature, there are ample more research studies on the subjects presented, along with clinical knowledge. If you have questions about this literature, ask your healthcare provider. Originally cross-posted on daocloud.com and LinkedIn.com.